Chablis Colour Close Coupled Toilet Pans By Boch. Chablis Colour Bathroom Products. Toilet Pans By Boch. 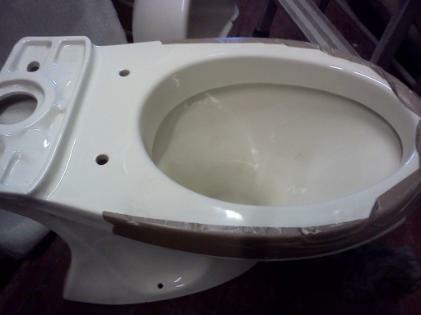 Quality Bathroom Equipment. JSL Bathrooms. Bradford. Yorkshire. Boch. Spares. Branded Names. Baths Basins Bidets Toilets Taps Showers Mixers Replacement Parts. Chablis. Essentially An Off White. Chablis Is A Watery Yellow, With A Touch Of Pale Green Which Is Only Apparent Under Certain Light. Almost Identical To Indian Ivory, And A Touch Lighter Than Champagne But Not As Popular As Either. Boch Manufactured. Pictured. Boch Close Coupled Toilet Pan In Chablis. The Product On This Page Is Meant To Serve As An Illustration Of Its Colour. Naturally There Will Be A Variance Due To Model Of Camera Used And The Equipment That You Are Currently Viewing This Page On. Unless You Are Certain Of The Colour You Require, There Is No Substitute For Bringing A Physical Sample In To Our Store With You.